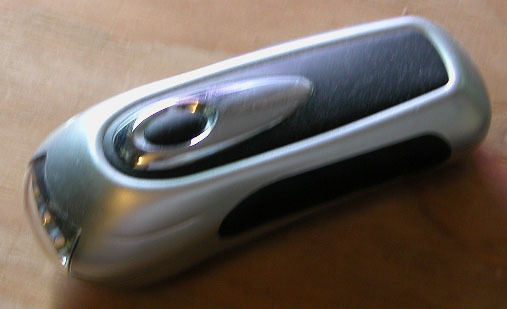 The Illuminator ET0100 hand cranked rechargeable Li-ion LED flashlight. 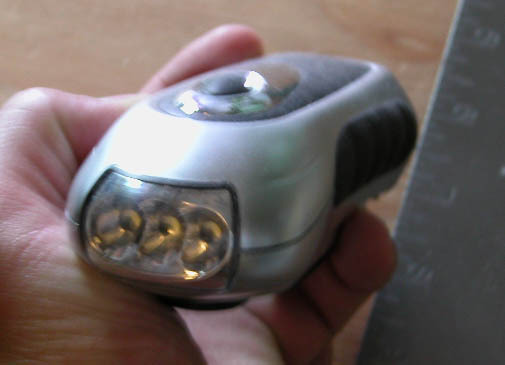 This flashlight has three white LEDs. You can power on just one or all three LEDs. They are decently bright, fine for emergency or to light up a small area for a minute or so. Inside, I found a small button sized Li-ion cell. It is rechargeable. It provides 3.6 volts at 35mAh. At a full charge, a 10 minute hand crank, you get about 10-15 minutes of good light. I left it on and found that it will stay very dimly lit for 24 hours. I gave it a good charge, and left it on. By the next day, the LEDs were still glowing, very dimly, but glowing. Of course, that's not useable light. 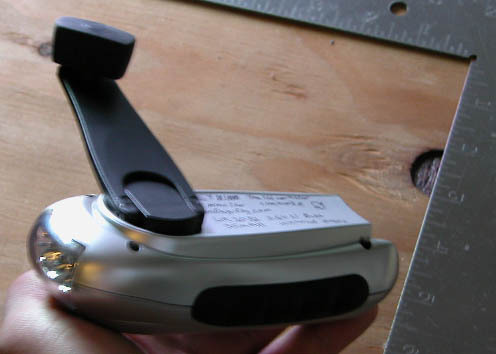 Turning the hand crank unit rotates a small motor inside. In case you don't know, turning a motor generates a small DC voltage. The circuit board has a four diode bridge rectifier. With it you won't have to worry about turning the hand crank the wrong way even though the manual says you should turn it clockwise. You can actually turn it the other way and still charge the battery.